Class up the joint with a bow tie. But not just any regular boring bow tie, a Spinning Bow Tie. 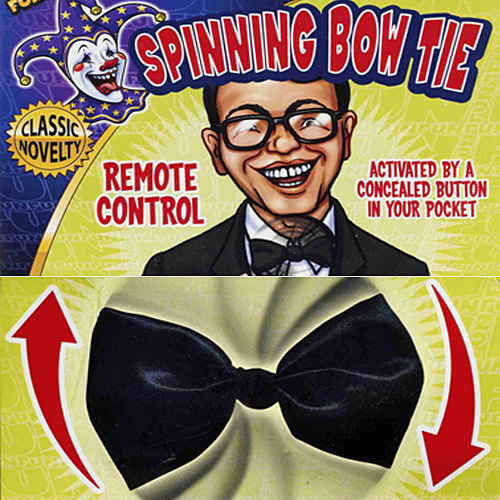 But not your grandfather’s spinning bow tie, a new one with a push button remote control. There are only two proper ways to punctuate a joke- the sideways cane and tophat tipping shuffle offstage and the spinning bow tie. Amirite?